NYC, 02/06/2019, 6:30PM. Resume Workshop. A good chance to sharpen your resume! Learn all sorts of tips, pointers, and things to generally avoid in order to get you that interview. 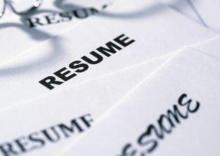 Please bring a copy of your resume on a flash drive or by email if you would like to workshop your resume.